How much did trade missions cost Ireland in 2013? THE MINISTERS AT the Department of Jobs, Enterprise and Innovation spent €300,000 on trade missions last year. 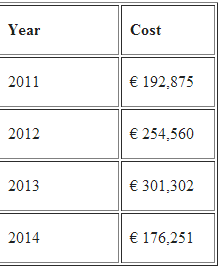 That figure is up by €50,000 on last year and up by over €100,000 on the year before. So far this, €176,000 has been spend on the trips. 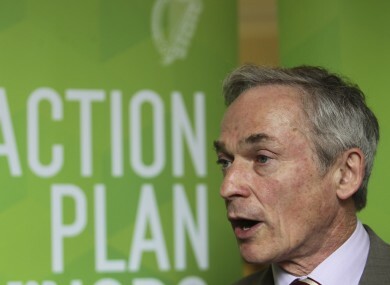 The Jobs Minister Richard Bruton said in a response to a parliamentary question that the missions are “focused on assisting Irish firms”. 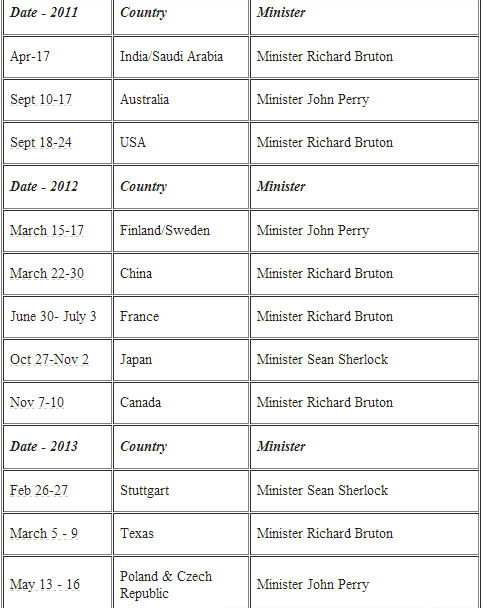 He then outlined the cost of the missions since he took office in March 2011. Bruton also revealed who had gone on the missions. On the whole, Bruton says that the missions are valuable, with the results seen in Ireland’s export figures. “The impact of trade missions together with the many other sales, marketing and trade promotion efforts of Enterprise Ireland are reflected in the growth in exports of Enterprise Ireland clients and the jobs they sustain and create. “As announced recently, Irish companies supported by Enterprise Ireland set a new export record of €17.1 billion in 2013 This represents an increase of 8% on 2012. Ministerial led trade missions are internationally recognised as a key part of helping companies win export contracts. 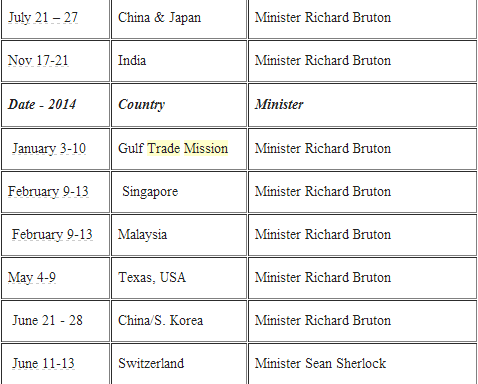 Email “How much did trade missions cost Ireland in 2013?”. Feedback on “How much did trade missions cost Ireland in 2013?”.